Sous vide is becoming increasingly popular day by day for good reasons. One of the major reasons is that it eliminates guesswork to a great extent. However, there are still a few points with which you can even improve your sous vide cooking. Here they are. Every food needs its own unique temperature and time to be cooked. Cooking time also differs according to the thickness of the food you want to cook. Thus a 5cm thick steak will need longer to be cooked than a 1.25cm thick steak. So, once you buy the best sous vide machine with the help of reviews like this Anova Sous Vide Precision Cooker review, understand these temperatures and times for different foods so that you can cook them just correctly. ‘Finishing’ is a very important part of sous vide cooking when it comes to certain fish and meats. However, you should make sure to do it as quickly as possible. When, for example, you are searing a steak in butter, your pan should be extremely hot before your steak even touches the pan. It should be in and out. Or else, it may end up with a horrible grey band. If you are going to add butter or oil to the bag while cooking fish or meat, it’s advisable to add it just enough to coat the foods. Most chefs use butter or oil while cooking multiple pieces of fish or meat in one bag just to prevent them from sticking together. Usually fresh herbs and dry spices work better to season sous vide fish or meat than wet pastes and marinades. However even they are not required. Finally, while cooking red meat for a longer time, several people prefer not to season the meat with salt before cooking since the salt is likely to brine. If you think that by keeping food in a sous vide machine for longer, you’d get better taste for your food, you may not be always right. 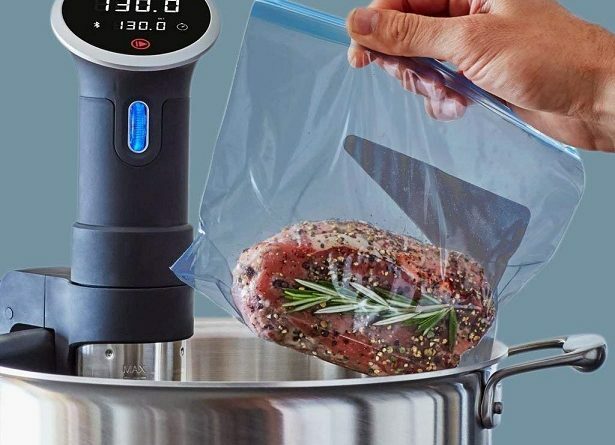 For example, most chefs advise that you should not sous vide steak for longer than four hours since the connective tissue starts breaking down whereby the steak can turn mushy. If the recipe suggests cooking something from one to four hours, it’s perhaps not recommended to cook it for 12. Especially, be wary while cooking fish because it is very delicate and can be easily overcooked. Hope these tips will allow you to enjoy your sous vide cooking at its best. Happy cooking!